Cool! I’m making progress on the Haruha Scarf! It’s about 30″ long. I think I’m going to make it between 55-60″ in length. The chart is REALLY easy to follow now that I’m familiar with it…..piece of cake! 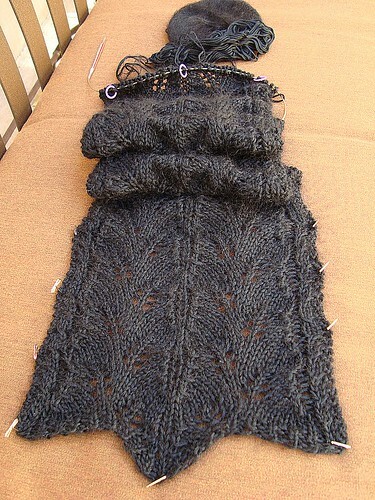 » This entry was posted on Sunday, October 24th, 2010 at 4:12 pm	and is filed under Free Patterns, Knit, Wearables. You can follow comments with RSS 2.0 feed. BTW, it wasn’t my birthday, it would have been John Lennon’s 70th.